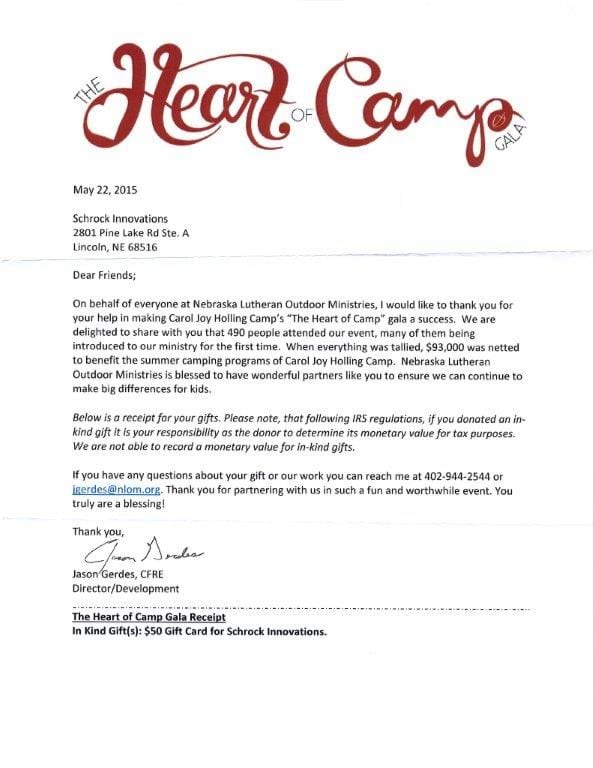 We recently received a note from the Nebraska Lutheran Outdoor Ministries about the donation we made to their recent Heart of Camp Gala. We at Schrock are very grateful that we are able to help local organizations and charities with their fundraising goals. Thanks for the kind note!